The Garden Island, Kauai, provides an endless amount of outdoor activity for every member of the family. You can spend your time swimming, hiking, kayaking, or simply relaxing on one of their beautiful beaches. 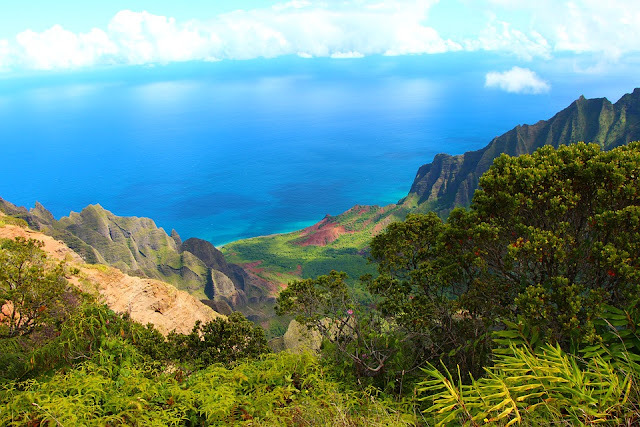 One of the more popular attractions on this beautiful island is the Napali Coast which provides a beautiful coastal trail called the Kalalau Trail. This is perhaps the best way to see this beautiful coastline. Other exciting and attractive things to do and see include visiting Tunnels Beach, Ke'e Beach, Hanalei Beach, Po'ipu, Koke'e State Park, Kalapaki Beach, or Wailua River State Park. This article will provide you with some excellent information and tips if you have an opportunity to spend a few days in this beautiful part of the world. One of the best ways to see Kauai is by boat. There plenty of great boat charters on the island considered to be the best scuba diving charters, snorkeling, and sunset tours in all of Hawaii. Koke'e State Park and Waimea Canyon, often called the Grand Canyon of the Pacific, should be the number one destination of every visitor's itinerary. This 3600 foot deep gorge is a mile wide and 14 miles long. 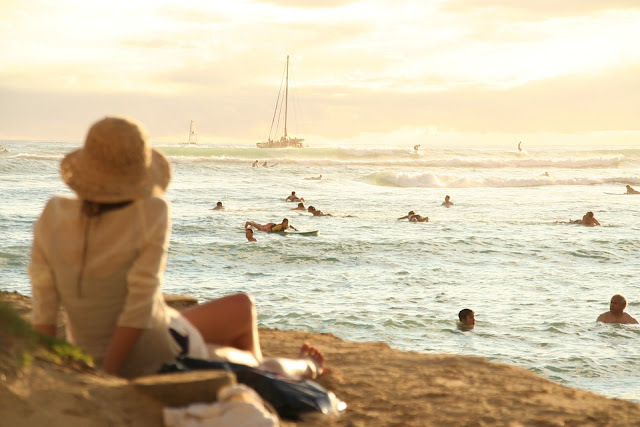 You will discover that this area has some of the most spectacular scenery in the Hawaiian Islands. A visit to this awesome Canyon and State Park will allow you to explore crested buttes and craggy red cliffs. There will be lush evergreen vegetation that seems to go on forever. Fast flowing rivers and cascading waterfalls will be dotted throughout the landscape. The majority of visitors to this area choose to do it by car. If this is your preferred way to see the State Park and Canyon, then you can be assured of exceptional viewing lookout areas that are situated along the Koke'e Road. 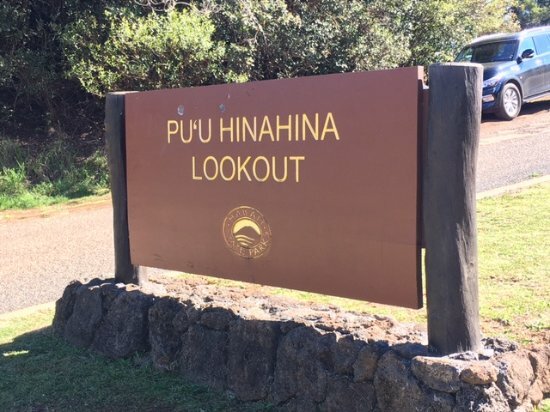 Two of the more popular lookout points include Puu Hinahina and Waimea Canyon. If you decide to leave your vehicle and explore some of the trails that go into the Canyon, you will be happy to know that there are a variety of trails that range from difficult to easy. Many of the trails begin off of Koke'e Road. These include the Waipo'o Falls Trail and the Cliff Trail. 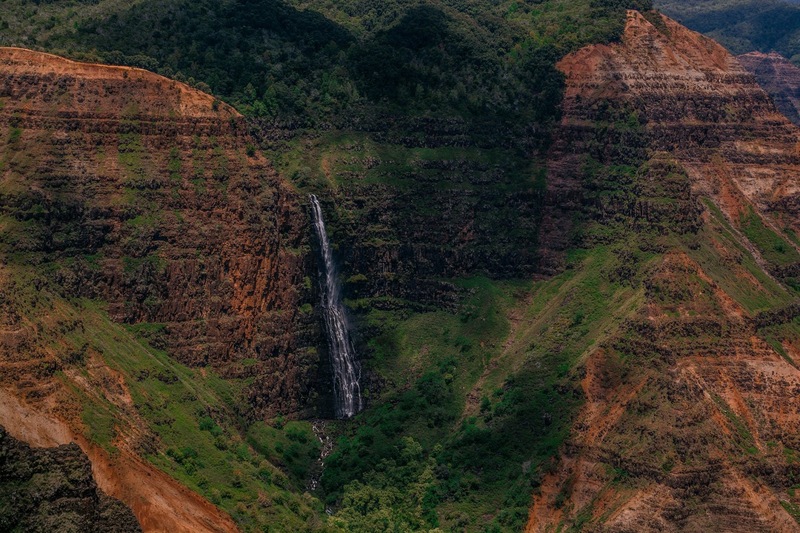 Make sure that you have enough time to visit both the Koke'e State Park and Waimea Canyon. Though the Waimea Canyon is directly adjacent to Koke'e State Park, it is interesting to know that Park has a makeup that is completely different. The Park includes thousands of acres of rain forest and therefore you will experience a unique micro-climate. The Koke'e Road will take you all the way through the park. If you are adventurous and want to get a closeup, stunning view of the Napali Cliffs, then take a hike along the Awa'awapuhi Trail. This famous trail will guide you to the very edge of the famous Napali Cliffs. Another trail that is definitely worth exploring is the Alakai Swamp Trail. It is always advisable to bring along proper hiking shoes so that you avoid slipping or falling. On the other hand, if you are searching for a fantastic place to snorkel in Kauai, then head to Tunnels Beach. This pristine beach area is located about 2 miles east of Kalalau Trail and approximately 9 miles west of Princeville. Visitors to this area can expect to see small sea caves, batches of coral, tunnels, colorful fish and turtles. If you are fortunate, you may even see a Hawaiian monk seal. You will also notice that Tunnels Beach has stationed lifeguards that regularly post signs that show the conditions of the day. If the posted signs discourage you from snorkeling or swimming on any particular day, please pay attention. The north shore is well-known as a beach that is rougher than the beaches on the southern shore. Besides, if you still have your doubts about swimming or snorkeling it is simply a matter of asking the lifeguard. Novice snorkelers should try to only stay within the inner reef and close to shore. Advanced snorkelers, who are better swimmers, can venture to the outer reef where the currents are stronger and there is a deep drop off. There are no restrooms at this beach but you will find some restrooms at the nearby Haena Beach Park. Yes, there are so many exciting things to do on the beautiful Hawaiian island of Kauai. Therefore, make sure that you spend some time doing prior research on things to do before you visit this beautiful and unique location. This is perhaps the best way to see this beautiful coastline of Kauai The Garden Island. Read this now.